Said to be a symbol of the pursuit of spiritual knowledge, ‘The White Hart’ also happens to be the fifth most common pub name in Britain. Spirits of a different kind being pursued, one concludes. 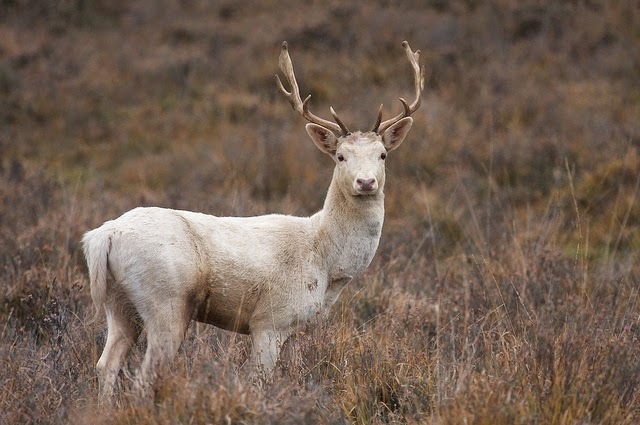 The white hart was a common element in Celtic mythology, a messenger from the other world and the starter of quests. It was said to be the creature that could never be caught. In most stories it caused a profound change in the physical and spiritual state of the viewer/pursuer. 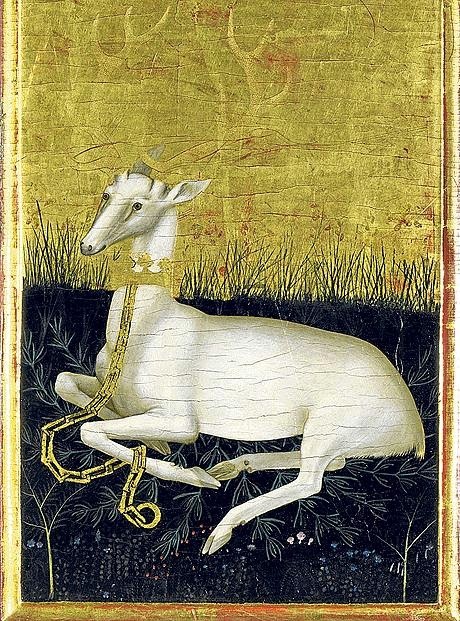 Visions of a white stag compelled King David I of Scotland to create a shrine to the cross, the holy rood, now a seat of power in Edinburgh, and a white hart crowned with a cross showed St Eustace that his fate would be to suffer as Christ had done. Richard II chose the white hart as his heraldic emblem, inherited from his mother Joan, the ‘Fair Maid of Kent’. It’s purity and power lent him some much needed credibility in his numerous struggles with his rebellious and resentful subjects. It is an interesting thing, this equation of a white colouration with supernatural powers and purity. The phenomenon is actually the absence of pigment, or Albinism; an hereditary condition common to animals of all kinds, as well as plants, generally producing white hair and pink eyes in mammals, occurring, on average, once in every 10,000 mammal births. Whereas humans find albino animals special and accord them a particular positive significance, the same cannot be said of their treatment of human albinos. Instead, these people are often disadvantaged socially as well as suffering from the effects of a lack of melanin. They may be ostracised, scapegoated, or in the worst cases attacked and killed. (It is reported that there have been many recent attacks on albinos in Tanzania and Burundi. 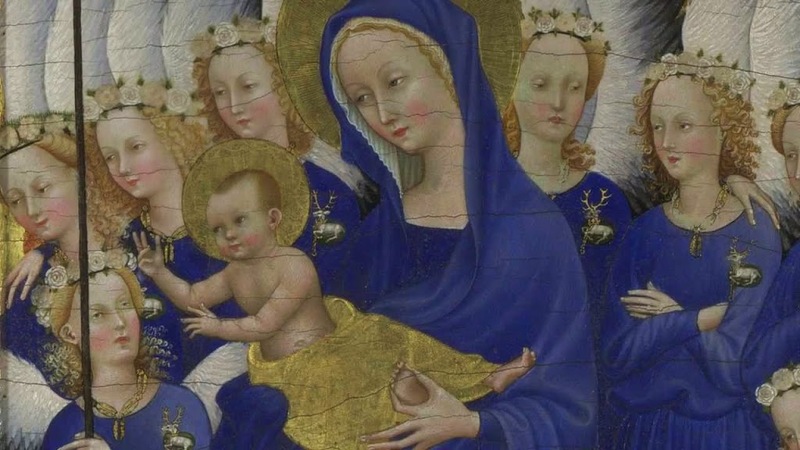 Some are being kidnapped and killed because their body parts are thought to make a particularly potent muti – medicine http://en.wikipedia.org/wiki/Persecution_of_people_with_albinism). Difference, in these cases, causes superstition and fear, and becomes an excuse for depravity. In the myths and stories of the white hart, it is portrayed most definitely as the other, the powerful thing, hunted for the potency and status that it will confer on the hunter. But nowadays, I believe it also contains another meaning. The Britain of wide-ranging forests full of wild game and animals, the setting for quests, fairy-maidens and honourable thieves, is gone. A construct always, promoted by playwrights and poets, but one which expressed something about what was fundamental to our culture and society. We cannot pretend that it exists anymore, because, for the vast majority of the population, the fabric of the land has been transformed by tarmac, brick and large scale agriculture. Wildness is accessed almost exclusively through the tv screen. But sometimes wildness, graceful, breathtaking, otherworldly wildness, breaks through our managed landscapes, either in our imaginations or in real time. The white hart, a rare and beautiful sight, shocks us into a state of wonder. A few years ago, when I saw one on my morning walk trotting up the ploughed hill through morning mist, it was a sight not reducible to genetic fact or weather conditions. I think it is this aspect of the ‘White Hart’ which TS Eliot invokes when he wrote ‘Landscapes III -Usk’ http://www.nbu.bg/webs/amb/british/5/eliot/landscap.htm although it is possible that he referred to the public house, The White Hart in Llangybi, Usk, behind which was an old, whitewashed holy well http://www.theguardian.com/uk/2003/aug/06/highereducation.books. Usk is near Caerleon, the fabled centre of King Arthur’s court in Welsh myth. Eliot’s poem is ambiguous and grammatically difficult, taking the quoted line from a play by George Peele The Old Wife’s Tale (late 16th century) http://www.poetrynook.com/poem/gently-dip-not-too-deep. This poem of mine is a Gloss or Glosa on Usk. The Glosa is an old Spanish form which sets its task to explain the lines of an older, more famous poem. Explanation is not achievable, but my poem could perhaps be called a variation on Eliot’s theme – a third generation poem in pursuit of the white hart. the lips bent low to drink, the sacred dell. old tales gasp, springs turn to sand. and find the fields, the hart’s high leap.